The best of bayside, you cant beat a bayside wedding at Half moon yacht club in Black Rock, on a stunning day like this. Catherine chose a colour palate of yellow and white to shine on this lovely day. With 9 bridesmaids and 50 jars of yellow and white flowers it really took on a beach wedding. 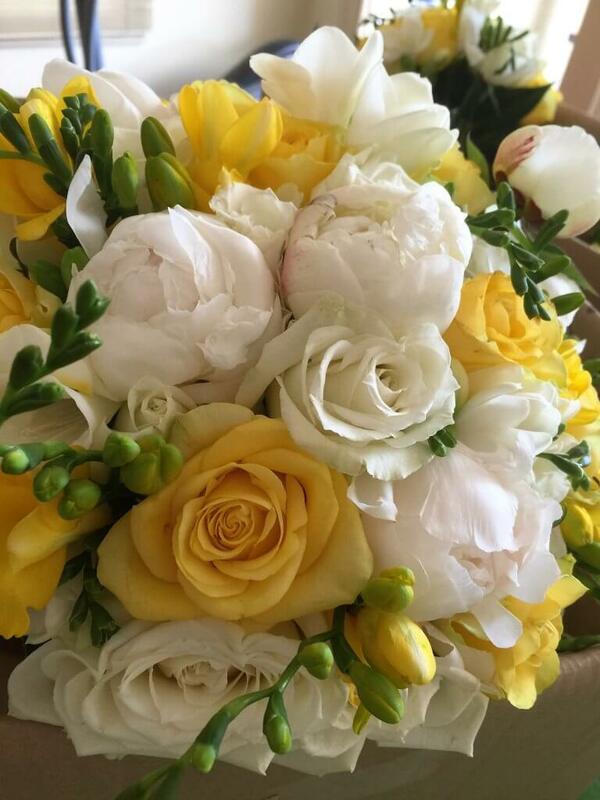 This entry was posted in Bayside Weddings and Events and tagged #baysidebouquets, #beachweddings, #blackrock, #bouquets, #bride, #bridesmaids, #buttonholes, #easyweddings, #flowers, #melbourneweddings, #yellowandwhite.